Pakistan Super League Season 3, the action-packed Pakistan cricket tournament is yet to begin. All the cricket fans are keenly waiting for the new season. Everyone has decided their own favorite team. Mostly the fans are supporting their home city. Well, well as we all eagerly wait for the season to begin, the good news is that the anthem of the biggest Pakistan tournament is out. Ali Zafar has just released another anthem for the upcoming third edition of Pakistan Super League (PSL 3). Ali Zafar HBL PSL Season 3 Official Anthem 2018. Since last three years, Zafar has been the voice and soul of PSL. This year’s Ali Zafar HBL PSL Season 3 Official Anthem 2018 delves into the nostalgia behind the country’s favourite pastime and reminisces in its cricket glory. 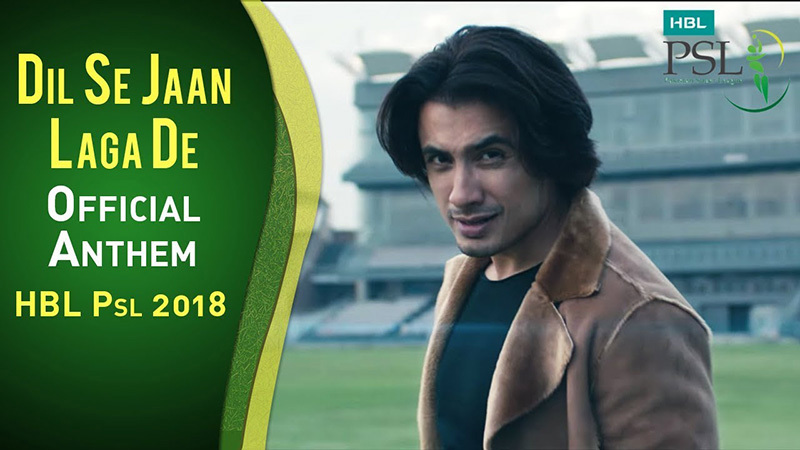 Ali Zafar HBL PSL Season 3 Official Anthem 2018 also features Pakistani cricket stars including Shahid Afridi, Ahmed Shehzad, Misbah-ul-Haq, Rameez Raja, Junaid Khan and more. Zafar has also earlier composed the official anthem Ab Khel Kay Dikha for the PSL debut season and Ab Khel Jamay Ga for the second year of PSL, the latter of which has been seen and heard over 6 million times on YouTube alone. The songs were a huge success, and the cricket fever rose with the anthem running in the background. Millions of people heard the previous PSL anthems on YouTube, television, internet and different apps. 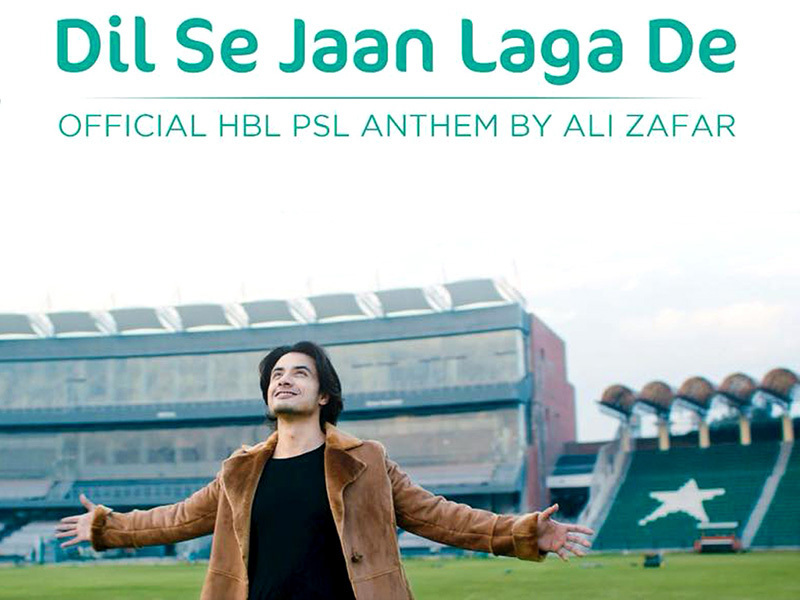 The Ali Zafar HBL PSL Season 3 Official Anthem 2018 if seen in depth is a continuation of PSL Season 2’s anthem. It seems that Ali Zafar has begun this new Ali Zafar HBL PSL Season 3 Official Anthem 2018 from where he left the last one. The video of the song, so many celebrities, and the voice behind the anthem have left the public mesmerized. Dil Se Jaan Laga De has been composed, written, produced and sung by Zafar as well. The best part is that this song is released on the same date that Pakistan has regained its top spot in ICC ranking.